If you’re looking for a gift for the beer-loving person in your life, here are some ideas that go beyond the usual beers, books, and t-shirts. Etsy is the perfect web site to peruse for one-off gifts. After purchasing some wooden hop earrings ($18) from Beer Muse on Etsy, I contacted her about some custom pieces. 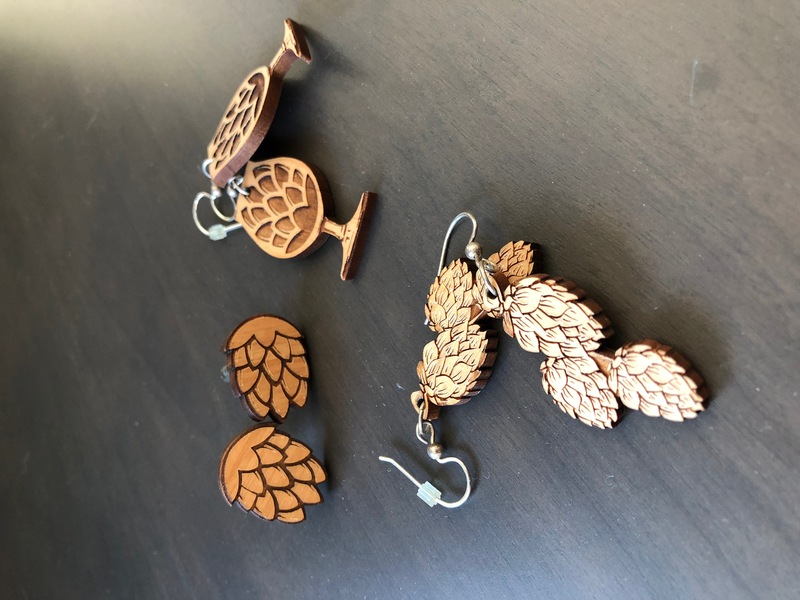 She quickly made me wooden hop cufflinks ($12) for my husband, which are now available on her site, and 3-inch wooden hop cone shower hooks ($6 each). You see, when one purchases a hop shower curtain ($65 from CafePress), one needs matching hooks. 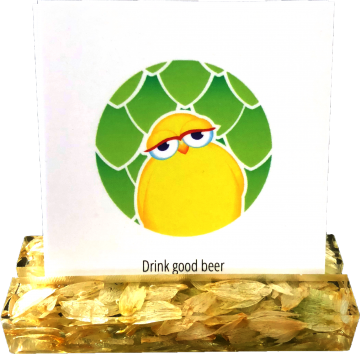 If you have a custom beer/hop gift in mind, Beer Muse might be the person to create it for you. After removing a window during a home renovation, we had a 21 by 58-inch space that needed “something”. At first we were going to install a blackboard, but since we don’t have kids, we’d probably write “What’s on Tap” once and then get lazy and never change it. That idea evolved after we saw some beer-related chalk art at Sierra Nevada in Asheville. 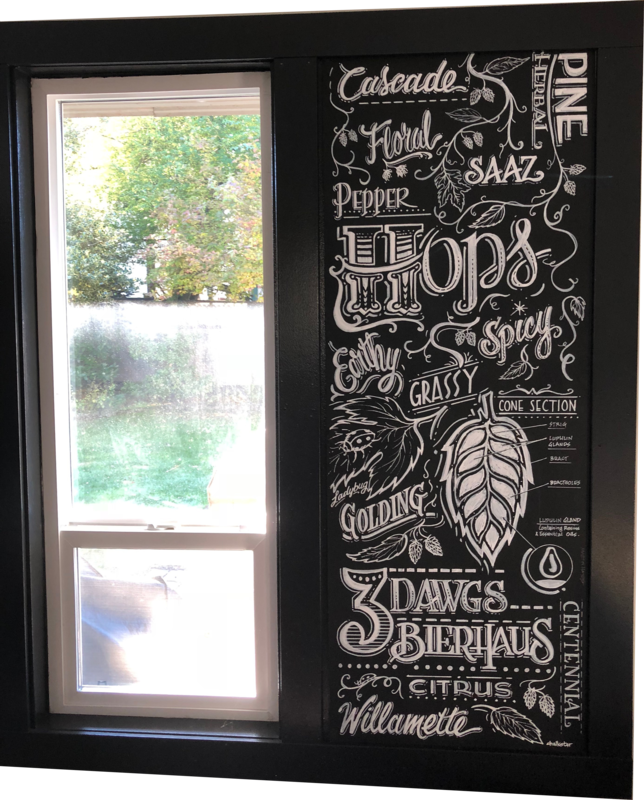 We connected with Chalkstar, a local Steveston chalk artist who created a custom piece for Three Dawgs Bierhaus that incorporated our garden hop varietals, descriptors, and the inner workings of a hop cone. The piece cost $200 and was created with markers to ensure it didn’t rub off. Does your significant other take a lot of photos of beer, hops, or breweries? Of course they do. Find a good, unique photo and blow it up. Cost to blow up to 16 by 20 inches should run you about $20 per frame, depending on materials and quality. If you’re looking for some education to pair with the beer, there are a number of choices. Locally, Serious Beer Level 1 ($525) and Level 2 ($750) are held at the Pacific Institute of Culinary Arts and offer a broad spectrum of beer style history, brewing mechanics, beer tasting, analyzing off-flavours, food/beer pairing, and a full compendium that will help one prepare for the CiceroneⓇ exam. The next session for Level 2 will be in January and Level 1 has not been announced yet. The CiceroneⓇ Certification Program also has a number of study materials at your disposal, from beer style flashcards ($15) and course books ($99) to off-flavour sensory kits ($149 to $749). You can also purchase a gift card for any of their study materials, courses, and exams, such as the Certified Beer Server ($69) exam. The exam can be taken any time, as you’re provided a unique access code when signing up for the exam. Need some more material to pass the CiceroneⓇ exam? 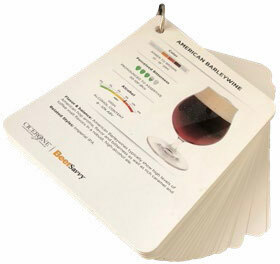 Beer Scholar Study Guides ($60) will provide you with real practice exams, a study guide, and flashcards. For the home brewer in your life, you can have a custom tap handle made. Get on the Googles and start searching; there are many options including Beer Designs, Etsy, and locally, Smooth Edge Design where a custom handle will run you about $50 to $70. Step up the home brewing game with some custom bottle caps ($0.14+ each) and/or bottle labels ($0.60+ each) from Bottlemark. 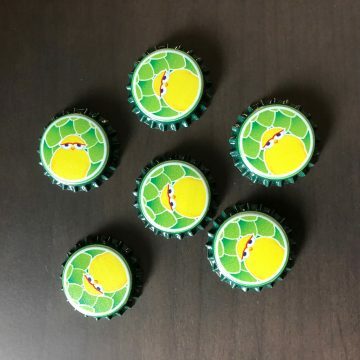 I used my Hops Canary logo on a cap and they turned out perfectly. Sadly, I still use green painters tape for labeling. Oof. How about a home brewer’s club membership? It’s a great resource for brewing information, willing guinea pigs to test your homebrew on—they often organize events and arrange for competition shipments—and it’s a fantastic way to connect with other passionate brewers. VanBrewers ($30) is our local club. Lastly, place your preorder for some hop rhizomes to plant in the spring. Your local homebrew shop will likely take orders, as will a number of online hop farms ($5 to $7 each). Have a beer writer on your list? 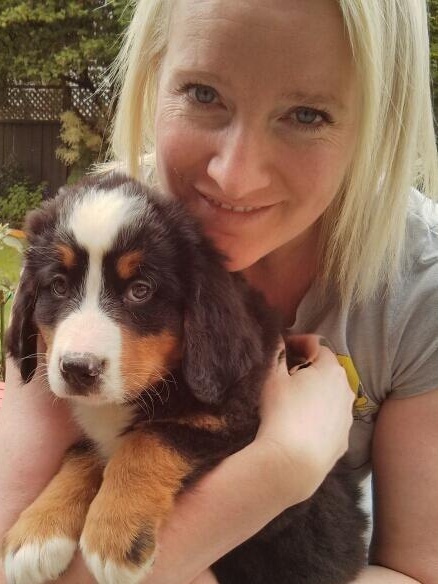 You can help get them started by reserving a domain name ($2 to $20 per year). 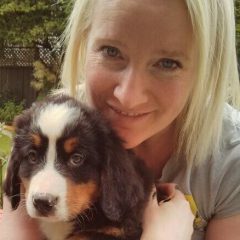 My husband did that for me a couple of years back and it inspired me to set up a proper website. Some domain hosts also sell packages such as a web builder product and WordPress to help make the transition easier. Now that they’re all fancy with this shiny new website, they might need a logo design. The old adage you get what you pay for resonates with design. If you have some skills, you can try designing your own, or find various online resources to do it cheaply. Or you can engage a graphic designer who can provide various sizes for business cards, Twitter and Facebook avatars, blog headers, and more. Expect to pay $250 to $500, depending on how well you know your designer. Give your writer an IOU for this one, since design is a personal decision and there will likely be a number of tweaks before it’s perfect. Have the logo? Get some business cards printed! There are some great materials and designs being offered these days including square, wooden, and bamboo cards. Local company Jukebox has tons of options, online upload/ordering, and a quick turnaround. If you need a business card holder, Mashed in Beer Gear have holders that are embedded with hops or grains ($20). Looking for a gift that gives back to you, too? Plan a vacation around the annual Beer Bloggers & Writers Conference ($120 to $145, plus those pesky travel expenses). The next conference is being held in Loudoun County, Virginia, August 10–11, 2018. Hell yeah. Tons of great sessions, networking, and bottle shares all in the name of, uh, education. 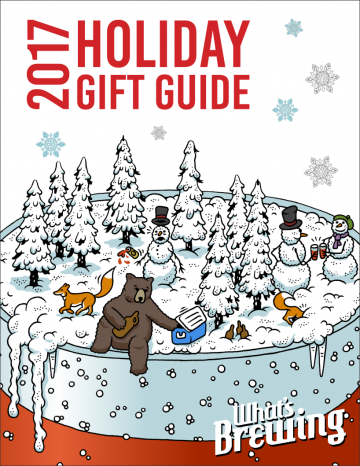 All of these suggested gifts can be purchased right from your couch. Happy shopping! previous post: Will There Be A BC Liquor Price Review?